Two years ago, President Obama signed a declaration designating Browns Canyon – our little slice of whitewater and fishing paradise in southern Colorado – as a National Monument. National monuments protect “existing rights,” including previously-existing oil and gas leases, water rights, and access via roads or bridges. They become designated by an act of congress or, as in the case of Browns Canyon, a presidential order. Discussion leading up to the designation included voices from all sides: ranchers, conservationists, rafters, fishermen, and motorized recreation enthusiasts. In 2014, congress failed to pass legislation introduced by Sen. Michael Bennet (D-Colorado) and former Sen. Mark Udall (D-Colorado) that would have protected the canyon. Local guide services, businesses, and outdoor enthusiasts persisted, buoyed by the citizen action group Friends of Browns Canyon. In February 2015, they celebrated the news that Browns Canyon, still managed jointly by the Bureau of Land Management, U.S. Forest Service, and Colorado State Parks, would now be afforded some federal protection. In the time since Browns Canyon became a national monument, the management of public lands has come to the forefront of western politics, with a push to turn some federal parcels over to states to control. Without federal protection, states could decide to use the lands- once kept pristine for wildlife, preservation of history, open space, and recreation- however they like, perhaps to extract minerals or other resources for short-term profit. The move comes after Western Republican lawmakers, like Utah Sen. Orrin Hatch, complained that Obama overused the law “to serve far-left special interests,” according to CNN. Proponents of “states’ rights” to control land as they see fit claim the people that monuments affect are not being considered in these presidential monument designations, and that the recent presidents who invoked them were overstepping their executive bounds. We at the RMOC believe that the first step to becoming an informed citizen in this debate is to get out there and see what these lands are all about. How could one possibly decide their stance on this issue without knowing what is at stake? Empirical research is the best research. Try rafting the rapids like Zoom Flume and Big Drop, hiking to the top of Ruby Mountain, wetting a line in or camping next to the Arkansas River. Then consider writing and calling your local lawmakers or the White House to let them know how much you appreciate recreating on federally protected land – be it here in Browns Canyon or another national monument or park. If you live in Colorado, contact your senators Michael Bennet (online form to contact here: https://www.bennet.senate.gov/?p=contact) and Cory Garnder (contact here: https://www.gardner.senate.gov/contact-cory/email-cory) and implore them to preserve what’s ours. Support Friends of Browns Canyon (brownscanyon.org). 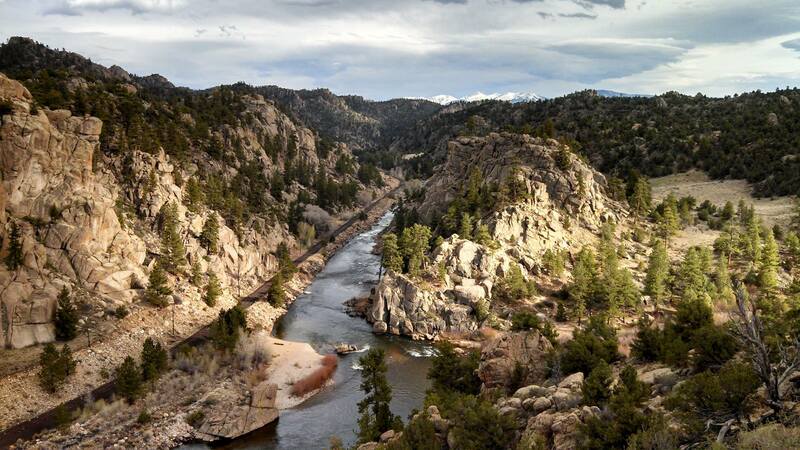 If you’re travelling to Colorado this summer, go boating, camping, hiking, fishing in Browns Canyon National Monument. It’s yours to enjoy.